Many Christians in the western world don’t even realize that the persecution of the end times has already started. All over the world, Christians are being attacked, Bibles are being burned and churches are being shut down. This persecution has been escalating for quite some time, but what prompted me to write this article today was the dramatic change that we have witnessed in China this year. Up to this point, the Chinese government has largely tolerated the booming house church movement, but now that era of toleration is officially over. New religious regulations that went into effect in February are being brutally enforced, and this is causing some to point out the frightening parallels between Communist China and Nazi Germany. The Chinese government is destroying crosses, burning bibles, closing churches and forcing Christian believers to sign papers renouncing their faith as the crackdown on religious congregations in Beijing and several provinces intensifies. The suppression of religious freedoms is part of an official campaign to “Sinicize” religion by demanding loyalty to the atheist Communist party and removing any potential challenge to the party’s power in the country. Doesn’t that sound quite similar to Nazi Germany and other tyrannical regimes? If Christians refuse to sign these papers, they could lose their jobs or be cut off from all government benefits. So let us pray for strength for our brothers and sisters in China, because many of them will be confronted with some very hard choices. According to the Express, authorities have also “raided Christian homes to remove religious symbols, arrested church members and seized churches”. In Henan province alone, more than 7,000 crosses have been destroyed, but other than Fox News most of the mainstream media outlets in the United States have been completely silent about this very important story. 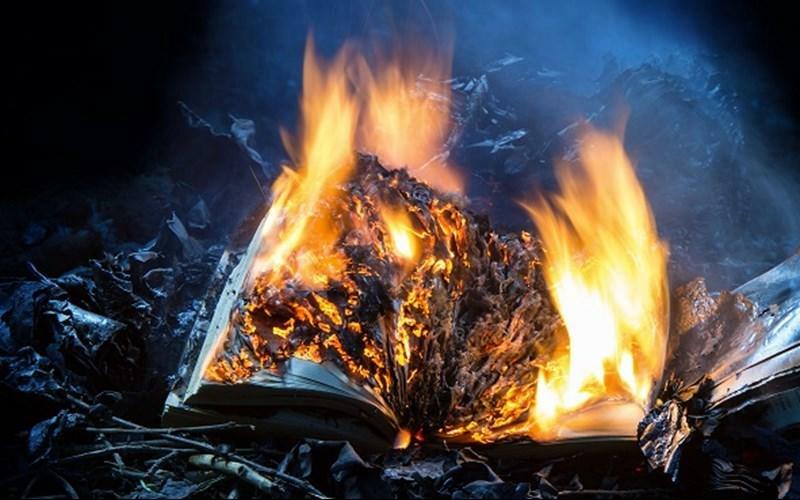 You can see some footage of Bibles being burned in China on Twitter right here. This is evil on a level that is hard to describe, and it seems to be getting worse with each passing month. So exactly what kind of “reform” did the authorities have in mind? Nettleton also said Chinese authorities are using advanced artificial intelligence software to monitor church attendees. “One pastor in Beijing not long ago was told by the government, ‘pastor we don’t mind if you continue holding your services, we just want to put this camera on your platform looking out at the audience and it’s attached to facial recognition software so that we can tell who comes to church on Sunday and who’s there and what they are doing and how involved they are,'” he said. Could you imagine going to a church like that? Ladies and gentlemen, this is it. This is the persecution of the last days, and it is only going to get worse. This will happen here in the United States too eventually if we don’t fight it. And of course it isn’t just in China that we are seeing a rise in persecution. Homes of Copts in the Minya region were attacked by hundreds of furious locals leaving two Christians with knife wounds in the head and face, World Watch Monitor reports. Four homes were ransacked, looted and partially set on fire by a Muslim mob during the three-hour-long attack, which was reportedly in protest of one of the properties being used as a home church. A local source for Christian persecution watchdog World Watch Monitor said the small Coptic community had been warned about the attack on August 31 a few days before it took place. On March 2nd, Muslims went on a rampage in an Islamic area of Ethiopia, beginning with an assault on churches in Asendabo. ICC and others alerted the world and called on the Ethiopian government to intervene. Unfortunately, the local government did not intervene and the attacks continued for a week. When the smoke cleared, the damage was evident. The Muslims had burned down the homes of 30 Christian leaders, they had killed one Christian, wounded several others, and torched 69 churches, a Bible school, and a Christian orphanage. One of the many wounded in these attacks was the grandson of a church elder who put himself in between the Muslim militants and his grandfather when they arrived to kill the elderly man. The Islamists attacked the young man with machetes – seriously wounding his head and hand and leaving him for dead. His family was forced to make a three-hour journey on foot to bring him to a hospital in a nearby city. Hatred for Christians and the Christian faith is rapidly rising all over the planet, and this was something that I warned about in my book about Bible prophecy. 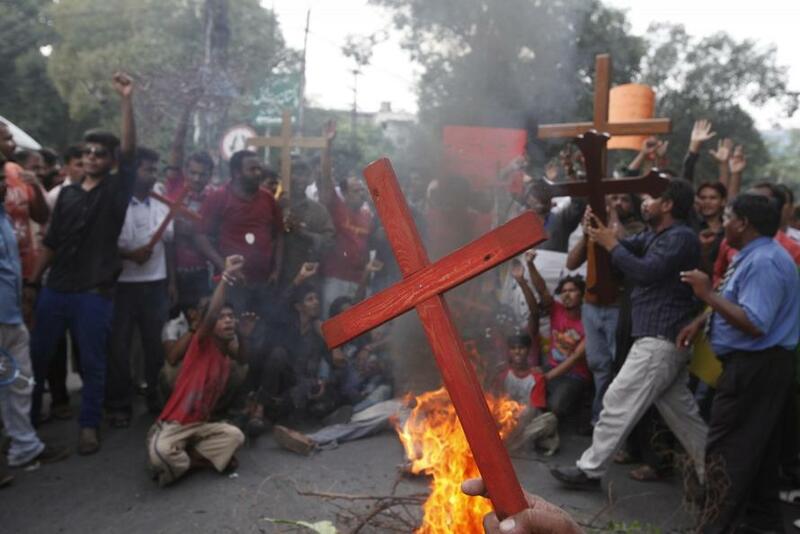 We should do all that we can to put pressure on governments to stop persecuting Christians, but if we really are in the end times, ultimately the persecution is just going to continue to escalate. The good news is that persecution always brings out the best in the people of God, and I believe that the greatest chapters of the Church are still ahead. So let us pray for our persecuted brothers and sisters all over the world, and let us also prepare ourselves for the immense persecution that is on the horizon for all of us.